Current Sales and Overstock pricing on select Native American handmade Sterling Silver Jewelry Rings in Turquoise, Shell and Coral. 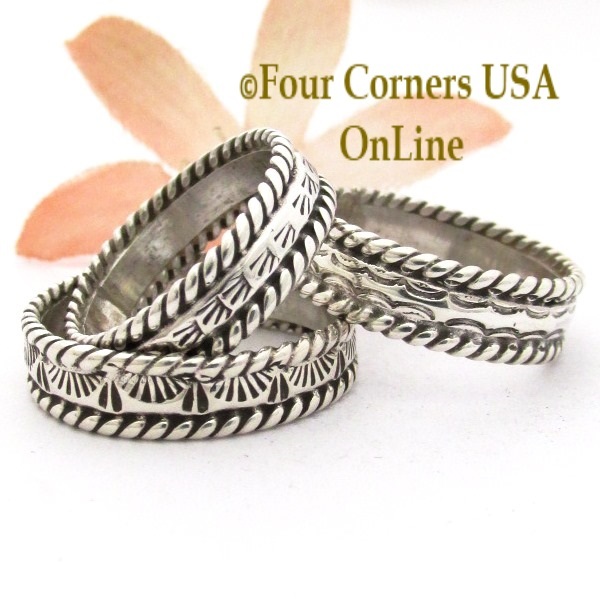 We have excellent opportunities at or below wholesale pricing on select Native American Rings for either individual purchase or resale in your Boutique, Gift Shop, Craft Show, Pow Wow or Special Event vending. Our Sale Closeout Pricing is attractively reduced from our already discounted everyday online prices and for that reason are considered Final Sales. Be sure to Checkout our current selection of Jewelry Specials for extraordinary price reductions off our already low retail.